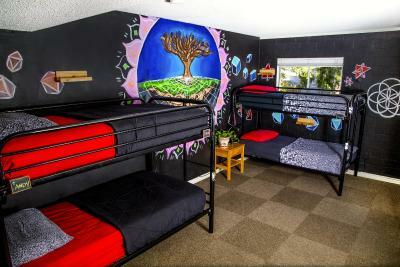 Lock in a great price for Drifter Jack's Hostel – rated 8.7 by recent guests! I am always welcome by the staff and the people that are there are very nice and make it very enjoyable to stay. I loved Drifter Jack’s location! Super convenient to many bars and restaurants. The staff was friendly and helpful, and there was no issue with parking. The beds and linens were comfortable, and no issues with the restroom. It's a great place to stay at kind of hidden. The staff is awesome and there's a lots of places to eat nearby and places to go to. It was affordable and in a great neighborhood. Staff was initially very friendly and welcoming. The staff was very helpful and made one feel like family. All the guest were very friendly also and made it feel very comfortable. Was surprised to find out the rooms were coed, but mine worked out with just men. The location is perfect also. Look forward staying there again. Might want to let people to bring own soap and shampoo lol lol there was some left by others that they let one use. Can’t say enough about Drifter Jacks!! Location, staff, the other guests, the hostel itself... amazing!!! And I felt so safe even outside at night. It was my first hostel experience and I’m so glad I went out of my comfort zone as a solo female traveler. We were all like a big family. Lots of parties, adventures and fun. 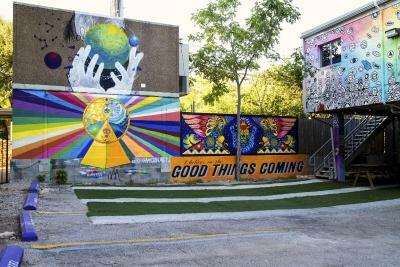 If that is what you’re looking for in Austin, there really isn’t a better place to stay. Great mix of people, it was reasonably comfortable. Staff available 24 hours/day. 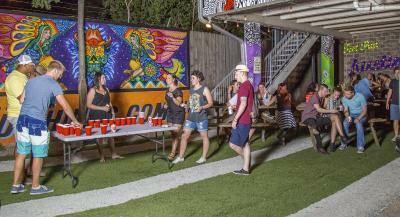 Really chill place in a more than perfect location, close to the Longhorns Stadium, various Restaurants and other Shops, cheap Uber ride away from 6th Street and really helpful staff. Only thing is that we think the price per night for one person is too much. Still had a great time and liked the place, thanks again! I liked the overall experience. Nice people, nice place. 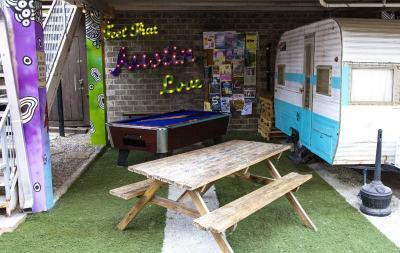 Located 1.9 mi from Austin city center, Drifter Jack's Hostel provides free WiFi access. Guest lockers, which can be used to store valuables and belongings, are installed in each dormitory at the property. There is also a small refrigerator in each room. 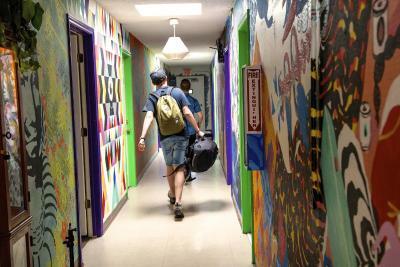 Laundry facilities and a luggage storage are offered at Drifter Jack's Hostel. There is also a communal movie room and an outside patio with a pool table. The hostel is 0.6 mi from the University of Texas. The Texas State Capitol is 1.2 mi away. 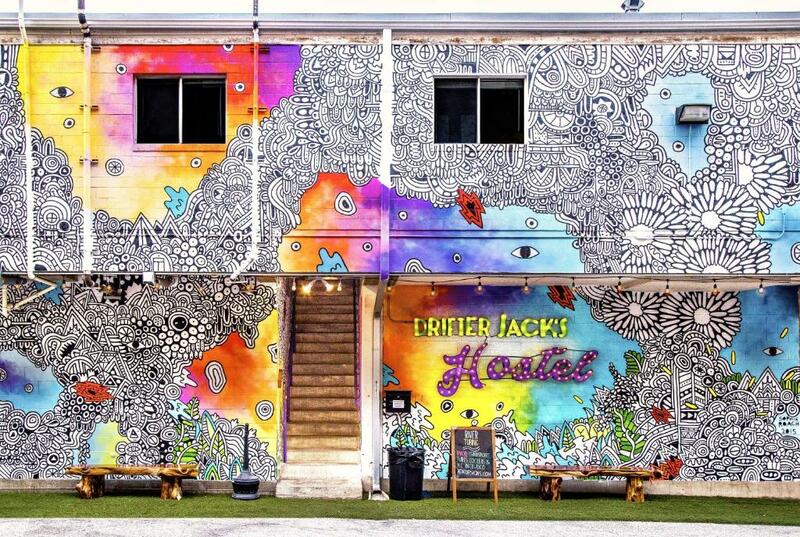 When would you like to stay at Drifter Jack's Hostel? A locker and small refrigerator are included in this dormitory. 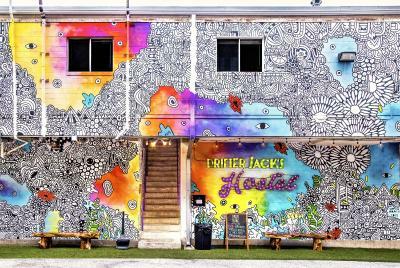 House Rules Drifter Jack's Hostel takes special requests – add in the next step! 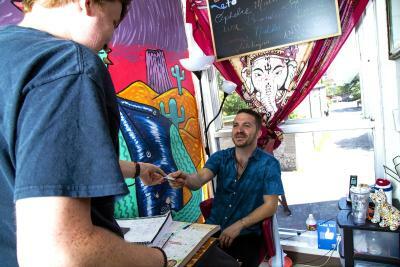 Drifter Jack&#39;s Hostel accepts these cards and reserves the right to temporarily hold an amount prior to arrival. Drifter Jack's Hostel accepts these cards and reserves the right to temporarily hold an amount prior to arrival. Guests are mostly people in their 20s. Don’t expect the place to quiet down before 12am. I think my room was just in an unfortunate area: right next to the kitchen, common area, and front desk. They did not seem to have quiet hours- therefore there were people being *extremely* loud until 3:30am, and the early risers did the same around 8am. I know it comes with the territory of staying in hostels, but even noise-cancelling headphones over earplugs didn’t help at all. If my room was father back it would not have been an issue. I think I only slept a good three hours that night. Room is very dark The personal entered many times in the rooms without knock at the door. Music very loud from the reception until 1am and start again at 7am so hard to have a real night sleep. 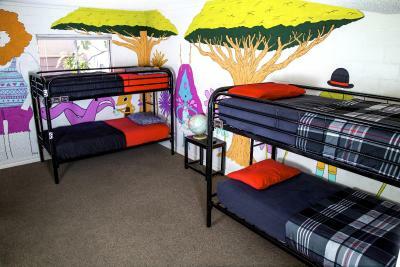 A hostel without any activities and without atmosphere. When I asked the personal the answer was just "no there is nothing planned". 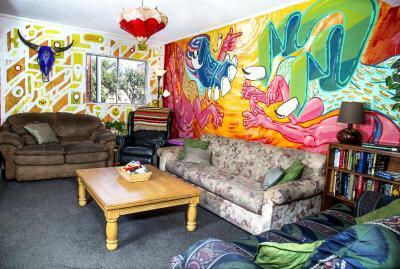 Beds was confortable Location convenient and close from center, south and north Nothing more.. The staff was always very friendly and helpful. Very convent to where I needed to be. The common room could use a better TV. If they had a smart TV with Netflix or Hulu on it it would be perfect. Great selection of VHS tapes. No one warned me that there would be drilling on the roof waking me up at 7 or 8am each day. It was exceptionally loud and directly over my head. I could not sleep the whole trip. When I tried to take a nap during the afternoon to make up for it, the staff kept walking into my room without knocking and hanging out there. One person saw me trying to sleep and and turned the lights on and started vacuuming and left the door open while people were being very loud in the hall. I understand things need to get cleaned but they didn't show any consideration or ask if they should come back later. I truly was not given any opportunity to sleep or relax during my stay. I don't think it was fair to take my money and not warn me about the drilling ahead of time. It was actually pretty mean. Not as clean as I would like, needs a deep spring clean. Staff was really friendly and accommodating. No privacy in common area. Drifters feels like a home! Everyone is welcoming and friendly! 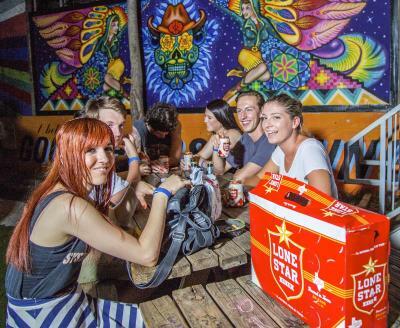 Do the pub crawl for added fun!